Forward-thinking businesses around the world are leveraging the devices that are flexible and capable of sensing newer parameters, analyzing situations, anticipating risks and offering context aware intelligence to make businesses more profitable. 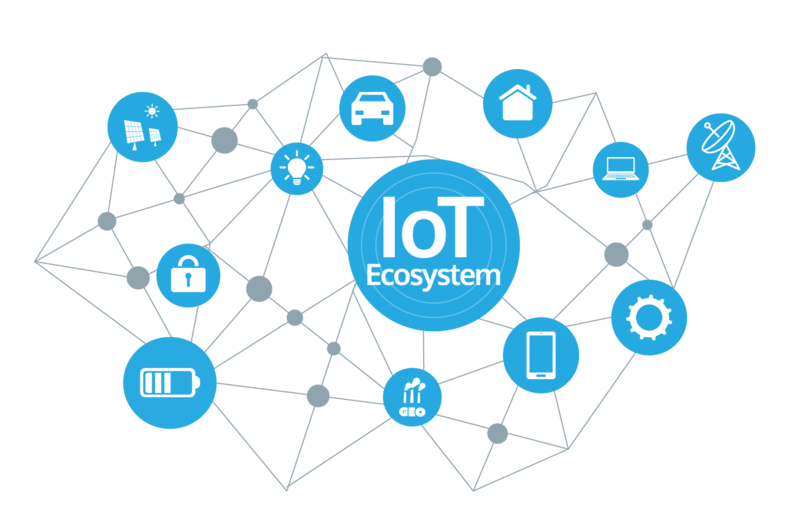 As an IoT (Internet of Things) service provider, we assisted clients from various industries such as manufacturing, energy & utilities, logistics & transportation, heavy equipment & construction, healthcare and telecom in interconnecting devices seamlessly interact with each other to gather, store, and process data. Modern supply chain minimizes waste by driving efficiency and increasing profits.In the past, resilient supply chain had massive warehouse and over stock as inventories. Today, warehouses are cost prohibited. Tracking few suppliers are feasible, whereas a typical manufacturer has more than 100 numbers of suppliers from different regions. Tracking every product is a huge process and requires an equal number of manpower to manage and update the data’s to product development team for real-time production planning. To overcome this hectic situation supply chain should have a digital business platform which integrates Mainframe to mobiles. SrinSoft has developed a platform for Real-time visibility, which can bring transparency and real-time tracking. Electronic Tags, digital identity sensors, and GPS enable transport can integrate and stream all the data for real time analysis gives complete visibility. SrinSoft’s digital business platform models and manages risk. Automated actions trigger depends upon the risk like Environmental, Geopolitical, Financial, Operational. When the risk level reaches critical we can initiate automated actions. Geopolitical, Operational: Can change the destination based upon situations and demands. Pioneering new techniques like CAD, robotics, sensors on assembly lines that stream live data to sophisticated control rooms. Unfortunately, many of these innovations are designed to operate in separate silos.Digital transformation would be the next wave of industry innovations, Accelerate by connected technologies is set to optimize process streamline, supply chains and reduce costs. Product development can be disconnected from how product can be used. 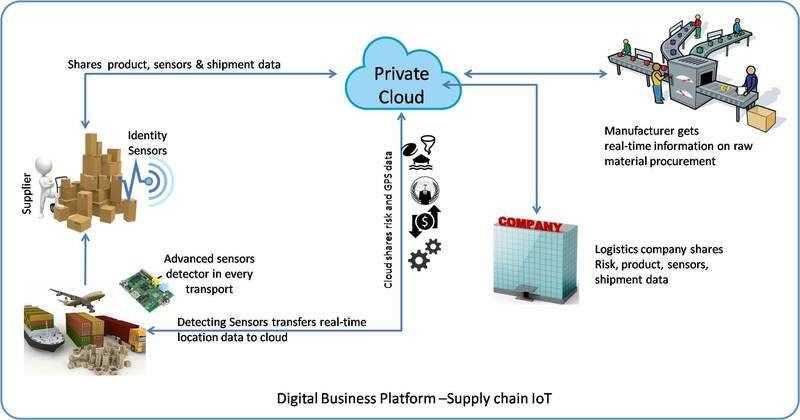 Supplychain can be disconnected from customer demand or production. Operations are focusing on productivity results inventory pile up. Knowing in advance when the machine is likely to fail helps better productivity. Combining engineering with analytics can help manufacturer to plan on schedule for protective maintenance. Reducing cost and improving uptime while improving product quality. 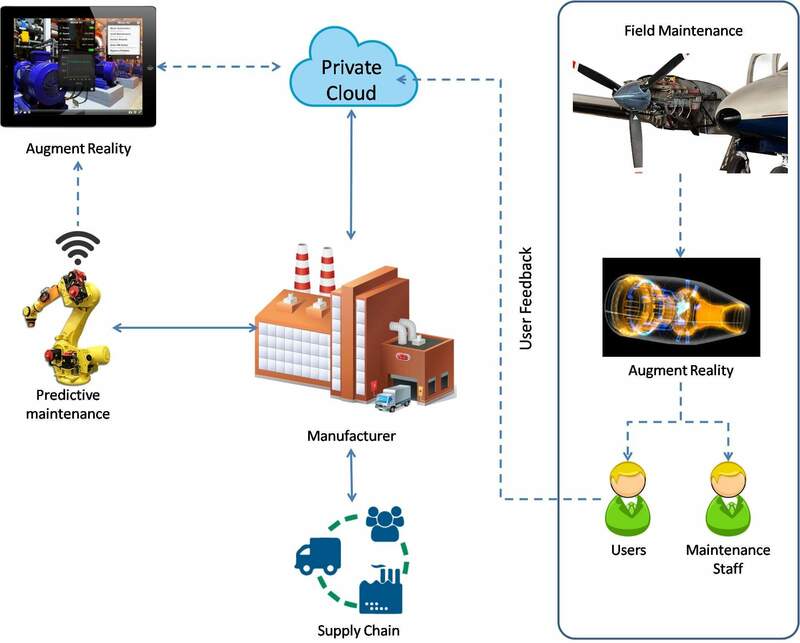 Augment reality: predictive maintenance data can be viewed in augmenting reality for a virtual understanding of replaceable parts with procedures. 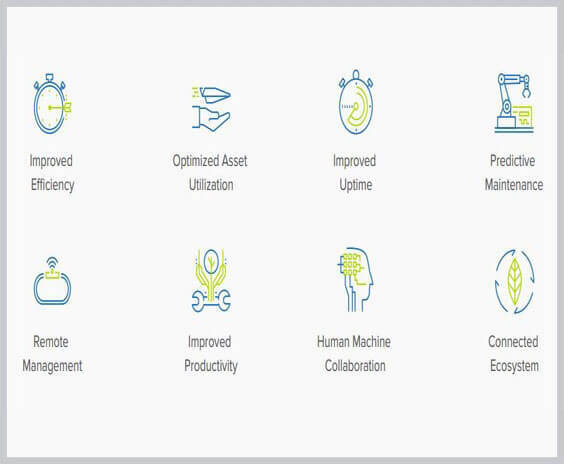 Benefits: Reduced downtime, financial planning, cost of manufacturing in real-time analysis. Engineering tools and augment reality can revolutionize field maintenance services. Connected products will share defected product and predictive causes of defective material. Results technician can attend field service with the right tools to the parts in the first service visit. Benefits:More stringent SLA’s than competitors. Predictive supply chain helps manufacturers to plan precisely for market availability of product as demand. Benefits:Cost of manufacturing a single product can be calculated in easy methods. The product development team can build an augmented reality based mobile app, which helps users to interact and understand the product for maximum utilization and predictive maintenance. User feedback can be shared to manufacturer in real-time. Benefits:manufacturer can understand and predict Market demand in real-time.